DoubleTree by Hilton York will be hosting a Venue Showcase evening tomorrow for event organisers looking for the perfect “host”. Starting at 6pm and finishing at 8pm, attendees will be treated to reception drinks and nibbles before being taken on a guided tour of the hotel – which is already a popular choice for meetings, weddings, dinners and conferences – showing all the benefits of choosing the hotel as the “host of your event”. Just over a year ago the hotel, which is located on St Maurice’s Road, completed the second of two £3m programmes of investment, a stone’s throw from Monkbar. This has resulted in the addition of 42 new bedrooms, new fitness centre, re-configured reception, enhanced courtyard-area and an “evolving” food and beverage operation including a new kitchen garden dining experience. 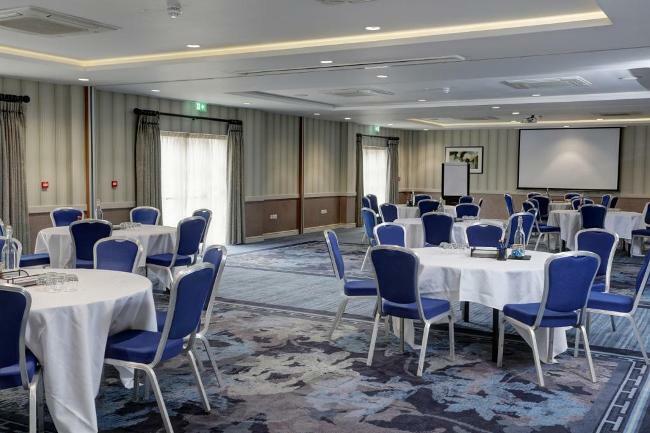 Nikki Brannan, DoubleTree by Hilton York’s sales and marketing manager, said: “We are looking forward to giving event organisers the opportunity to view our facilities. “For the just short of 30 years we have been catering for a host of different events, from company meetings, conferences and weddings to comedy nights, fashion shows and sports clubs end of year dinners.